’Make-A-Wish’ of Greece is a civil, non-profit association that turns into reality the wishes of children with serious and life-threatening diseases. It is one of the leading in its kind non-profit organisations in Greece, which is supported exclusively by sponsorships and donations from private individuals and companies, without receiving and state subsidisation. 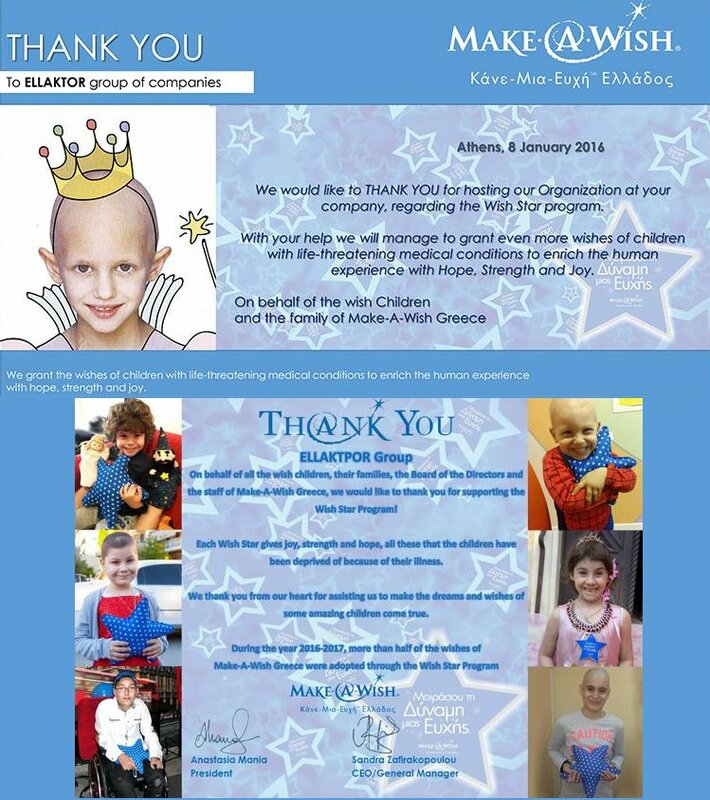 In December of 2015 and 2016 the Ellaktor group, in the context of actively supporting the efforts and work of ‘Make-A-Wish’, with the social responsibility governing the group as its driving force, organised related events, mobilising employees in the Group headquarters and actively contributing to the fund raising for the purposes of the Organisation. 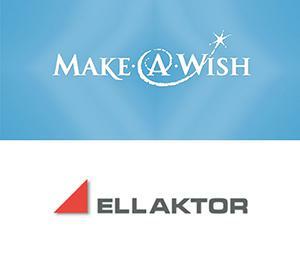 Additionally, in order to contribute even more substantially to the overall effort, the Ellaktor Group, through its companies, became a Gold Sponsor for Make-A-Wish (in 2015), being aware of the significance of any type of support, while reaping the greatest reward: the happy smiles of all these children that need us.